Did the little piggy cry all the way home? The CEO of one of the biggest laser hair removal chains stated that he aims to imitate Nordstrom. Nordstrom is a big chain. Nordstrom is famous for its customer service. Nordstrom is also known for its “premium” pricing. Translated that means high prices. A big part of the Nordstrom formula is charging premium prices. That concept might fly when transformed into the laser hair removal field except for a few problems. The laser chains have tons of complaints on the internet. That is a laser hair removal image problem. Nordstrom has a liberal return policy. With the laser chains, after you sign their legally binding contract, you will not get your money back. There is no return policy at all. It was only after a patient was burned by a laser at a laser chain that the burned patient finally received a refund. That only occurred after that patient complained to the New York Times. The New York Times has exposed this chain in multiple scathing articles. While doing research, the New York Times reporter thought initially that the complaints on the internet could be based on a few anonymous rants. 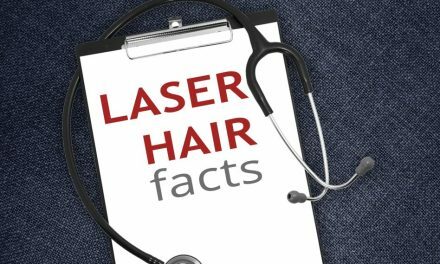 However, the fact that they are so numerous is what makes it clear that these chains have a real laser hair removal image problem. The New York Times reported that both the customers and employees were not happy. According to an article about Ideal Image laser hair removal in the Tampa Bay Times, it has been a bumpy road of late for their firm. Their president and CEO says he wants his company to be the “Nordstrom of the cosmetic medical services industry.” He is referring to the retailing chain known for the excellence of its customer relations. A bumpy road would be an understatement considering the soaring number of customer relations and service complaints on the internet about Ideal Image. At Happel Laser, we have one medical office. We are not a laser hair removal chain. We are a true medical practice. You will see the same laser specialist each time that you have a laser treatment. She has the longest experience of performing laser hair removal in our city. Read what people have to say about her here. We see ourselves similar to a boutique rather than a large department store. Our customer service is impeccable. You will not be switched from one laser specialist to another with varying degrees of experience. 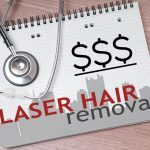 Typical laser hair removal costs across the country can be found on the preceding link. It’s important to know that your cost per treatment will be much higher at a laser chain if you crunch the numbers. That is because you will be offered a package at the chains. It will be difficult to compare the individual cost per treatment after all the deals and offers are mixed into the total cost. According to WebMD, it takes an average of three to seven sessions to achieve permanent hair loss. So why do the chains make you to buy nine treatments in their packages? Because they make more money from you that way. You pay more at Nordstrom. Do you get the service like Nordstrom at these chains? They make more money selling you treatments you don’t need. These are not medical facilities. They only look like medical facilities. 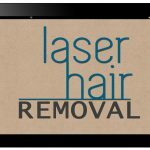 Read their reviews here to learn about their true level of laser hair removal service. On the other hand, just do your own independent web search and find out for yourself. Our ultimate goal is to provide an excellent hair removal experience at a fair price and to make you happy with your results. Our lasers are new and the best on the market. Our lasers are serviced by the manufacturer. We never utilize used lasers. 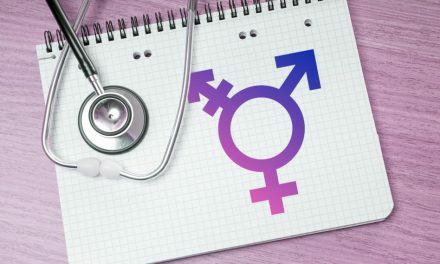 This is extremely important in providing safe treatments that are truly effective and long lasting. We use the most progressive and advanced lasers. Our lasers provide you the optimum wavelengths for hair removal. The best part is that your laser procedures will be in the safety of a doctor’s office. Dr. Happel will be on site during all of your treatments. The laser hair removal chain cannot claim that there will be a doctor on site. Dr. Happel is a doubly board certified surgeon and trained in the use of lasers. He will be in the building while you have your procedure performed. 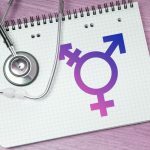 This is unlike the chains where medical supervision is provided through covering physicians who oversee multiple offices and are usually not in the building when you have your treatment laser treatment done. They do not have to be in the same state. When you choose our medical office, you will have a true medical laser procedure performed for hair removal. When you come for laser hair removal, you are our patient. You will be under our direct medical care with all the responsibility and duties that that implies. You will be our patient if you come to my medical office for laser hair removal. You will not be a client. You will not be a guest. You will not be a customer. These last three terms are used by the laser chains and imply that you will be coming for a beauty treatment. Are you on the lookout for an exclusive high-end experience with no pushy hard sell? Since 1999, Happel Laser offers a unique blend of top shelf exclusive laser hair removal. We stress a truly personal and intimate experience similar to the high end stores that offer special shopping advice for the discerning well-healed consumer. However, we offer that higher individualized level of service, exceptional quality and passion at a better price than the laser chains. Everyone can afford and feel like English royalty. Tres chic. Moreover, we can deliver on those promises. We couldn’t up sell even if we wanted to since we only specialize in one thing, laser hair removal. We are very, very good at laser hair removal. We don’t offer injection fillers, Botox or cellulite treatments. Unlike the laser chains, we specialize in only one cosmetic laser service. Laser hair removal is our area of expertise. Rather than being a “Jack of all trades and master of none”, we specialize in only one thing, laser hair removal. 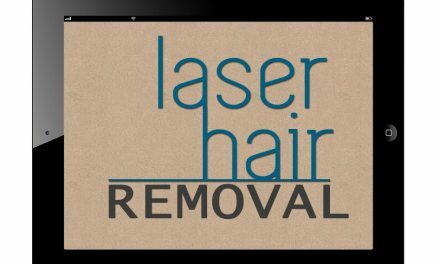 Our specialty is laser hair removal. We do not treat sun damage or pigmented lesions. We do not perform skin lifting or tightening. We do not do injectables, wrinkle relaxers or fillers. We do not inject Botox. We do not do laser tattoo removal. We do not do laser cool sculpting to get rid of fat. We are proud that the Happel Laser Center has the distinct honor of being voted to the top of the list of the best laser hair removal center in Pittsburgh by Pittsburgh.cbslocal.com. But we continue to strive to make you happy and endeavor to exceed your expectations. At Happel Laser you can pay as you go! No packages and no memberships are required. A certified technician under a board certified medical director will take care of your unwanted hair within your budget on your terms! Performed in the safety of a respected doctor’s office. Do your research first. Check out our Google reviews here. That should convince you. Once you are sure, call us. Our advice is same as the Nike slogan… Just do it. People say it’s the best thing that they ever did for themselves. Our goal is to provide an excellent hair removal experience at a fair price. We want to make you happy with your results. You will not regret it. That’s our promise. Call us at 724-969-0600 to learn more or contact us here. NextLaser Hair Removal vs. Electrolysis : Which is Better for You?